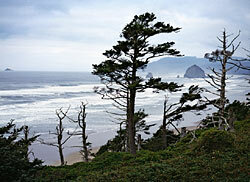 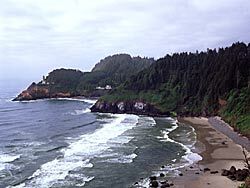 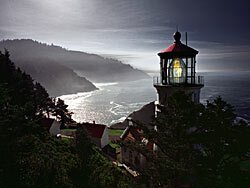 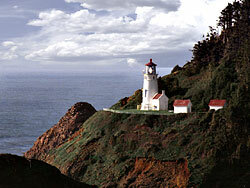 There is the strongest light seen from 21 miles in the sea, Heceta Head. 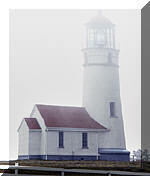 There's the tallest, Yaquina Head. 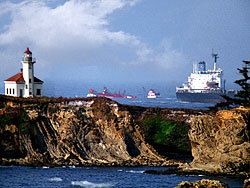 There's the oldest, Cape Blanco built in 1870, and the newest, the hard working Cape Arago. 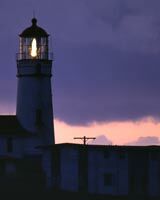 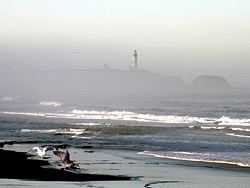 The Coquille River Lighthouse in Bandon is unique because it currently has a solar-powered system to operate its light. 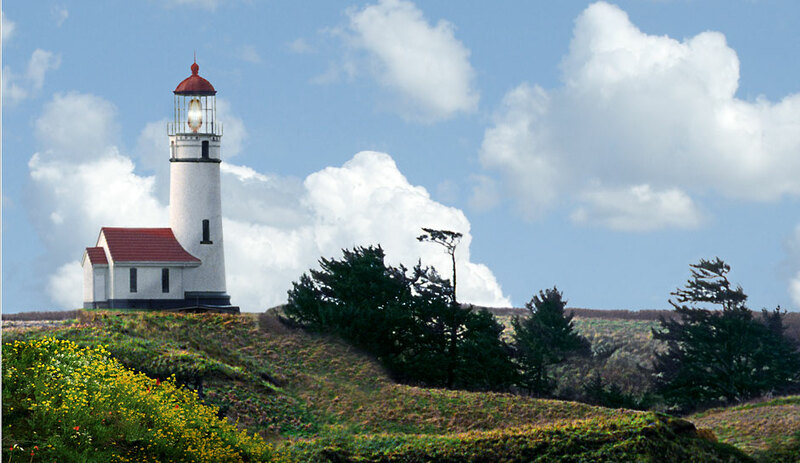 The beautiful Cape Meares Lighthouse is in deep contrast to "Terrible Tilly", the nickname given the Tillamook Rock Lighthouse, bashed by storms and waves. 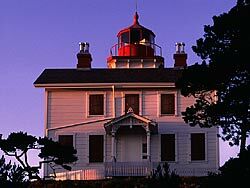 In the late 1800's, Yaquina Bay Lighthouse had the light keepers quarters in the same building as the tower. 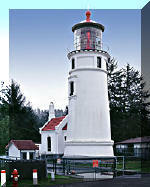 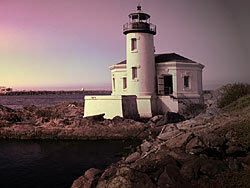 The Umpqua River Lighthouse on Winchester Bay now guards the place where the first Oregon lighthouse was assembled. 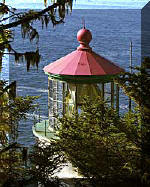 It has been rebuilt and repositioned as many of the lighthouses have been. 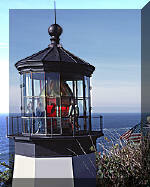 Our thanks to the U.S. Coastguard and volunteers alike. 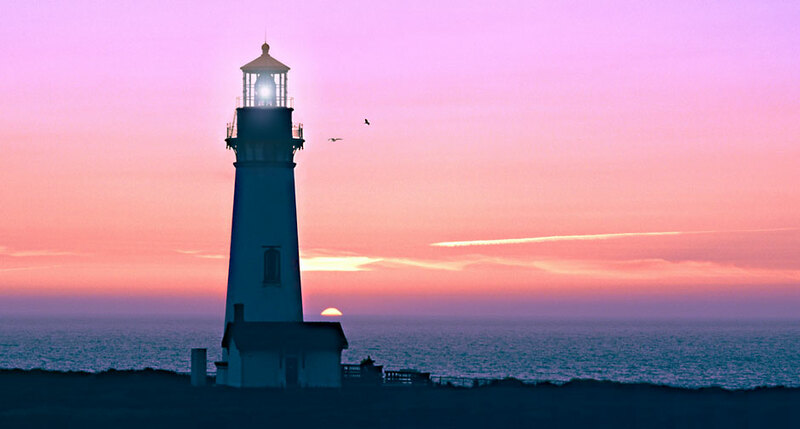 They watch over sentinels who watch over us.